This exhibition in partnership with Rochester Art Gallery features internationally-renowned textile artist and designer Margo Selby. They are showcasing her hand-woven framed textiles, including new pieces made especially for this show, along with an archive of her design work which reveals the creative process. The artworks use a technique called Lampas, a historic woven structure that was developed in the 17th century by Huguenot weavers to create decorative brocade fabrics. Margo is now using these weave structures in a new way to create geometric framed works with a modernist feel. Margo trained in textile design at Chelsea College of Art and Design and The Royal College of Art. On graduating in 2001, Margo initially worked as a woven textile designer for industrial mills. 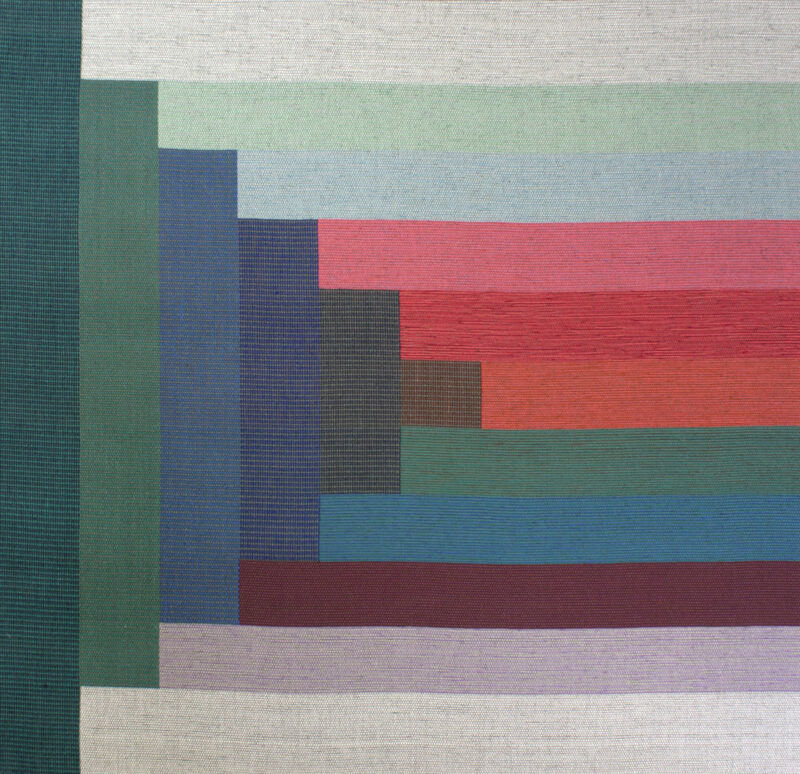 It was during this time she united her innovative hand-woven constructions with industrial machinery to create the unique 3-dimensional fabrics that were to become the trademark of the Margo Selby brand. The exhibition takes place in both Rochester Art Gallery and the Huguenot Museum. Rochester Art Gallery is on the ground floor of the Visitor Information Centre. Rochester Art Gallery is free and open Mon-Sat, 10am – 5pm. Text & image taken from Rochester Art Gallery pages. This entry was posted on Monday, February 12th, 2018 at 9:32 am	and is filed under Events, Exhibitions, General, New weave developments, Workshops. You can follow any comments to this entry through the RSS 2.0 feed. You can leave a comment, or trackback.